As a home business owner, you probably wear many hats. Not only do you have to provide quality products and services, but you have to market, manage finances, provide customer support and more. Even if you have a virtual assistant or other help, keeping track of tasks and projects ultimately falls on you. And that doesn't include all the things you have to do in your private life as well. Striking a perfect balance between work and home requires an organized and prioritized to-do-list. The challenge is to find one that fits the way you work, and is accessible whenever you need it. Below is an updated lists of some of the top task management tools available to help you work effectively and efficiently. 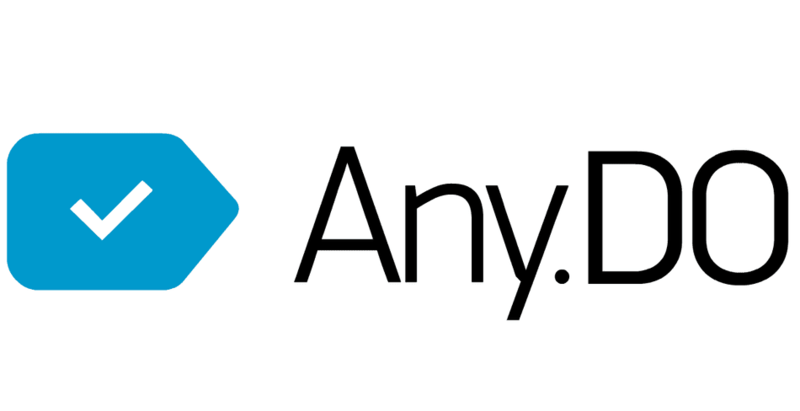 Any.do is a popular to-do management option that offers some great bells and whistles. It has a daily planner feature, list management, sub-tasks, notifications, collaboration and access across devices. Currently, you can use Any.do on the web, Android, iPhone, Chrome and Mac. It has a free version, and a couple of paid versions for as low as $3 per month. Evernote is more of a note keeping resource, but you can set up to-do lists and some people have been clever enough to create GTD (David Allen's Getting Things Done) type lists using Evernote. In fact, Evernote can do a great deal to help you store ideas, lists, and more. The "Clipper" can be added to your browser so you can store articles, recipes, and more in your Evernote folders. You can take photos or audio recordings on your phone, and save them in Evernote. And you can email to your Evernote account. Evernote is portable and can be used in Windows, OS X, Android, iOS, Windows Mobile, WebOS, Blackberry, and more. Evernote is free up to 60 mb of storage. The paid options allow for more storage and few more bells and whistles. Features include help in sorting out what to focus on, scheduling tasks, organizing projects, reference lists (stuff you need to keep), tagging and filters, search, creating checklists, and email to capture to-dos or to send you reminders. It's free, but offers a pro version with the ability to manage more stuff, and deal with recurring tasks. Many to-do tools have come and gone, but Remember the Milk (RTM) has stood the test of time. Like many other to-do apps, it will let you list your tasks, give you reminders, and share you list with others. One cool feature is that you can add or get reminded of a task by text, Twitter or email. You can even receive your reminders by IM. One feature that is really helpful is that RTM integrates with other tools such as Google Calendar and Outlook, and Evernote. RTM is available across several platforms including web, Mac, iPhone/Pad, Android devices, Blackberry 10, and Kindle Fire. As of this writing (June 2016) a Windows and Linux option are coming soon. RTM is free, but has a premium version with more features. The first cool think about Todoist is that it's got apps for everything including web, Android, iOS, OS X, and Windows. Plus it has browser add-ons for Chrome and Firefox. Finally, you can integrate with Outlook and Gmail. Todoist offers lots of great features to organize your tasks, including sub-task and sub-project listing, the ability to share and collaborate, and to prioritize your to-dos. It offers notifications when important tasks are due and real-time syncing if you need to move between devices. Todoist is free, but also offers premium features including reminders, commenting, and labels and filters. If you're a fan of David Allen's "Getting Things Done" (GTD) methodology, then Vitalist may be the tool for you. According to the Vitalist website, "Vitalist is all about actions, projects, and contexts. Actions represent the things you need to get done. Projects and Contexts help you organize them." Vitalist not only helps you create your to-do list, but it can help you deal with the tasks in longer term projects. It does have apps for mobile devices and integrates with other tools including your calendar, Jott, and Twitter. The basic version may offer all you need to get things done. It offers unlimited actions, but only 5 of each projects, contexts, contacts and smart searches. Paid versions give you more options and storage for as little as $5 a month. Newer to the task management scene, but making a big splash is Wunderlust. It's available on just about everything including Mac OS X, Android (phone and tablet), iOS (phone, iPad), web, watch, Windows 7,9, and phone, and Chromebook. It also works with other tools such as Gmail and Evernote. Like others before it, Wunderlust can do quite a bit including add tasks and set due dates, get notifications, group related lists into a folder, share and collaborate, You can store notes, use tags, email to Wunderlust, and even print your to-dos. It's free, or you can get the pro version for about $5 per month, that allows you to upload and attach files to your to-dos, among other added features.